"I have the Bose Soundtouch 30 series 3 but i am unable to stream music from Apple Music. How can i access music from Apple Music to SoundTouch?" 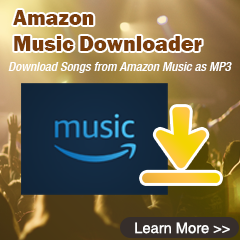 SoundTouch speaker gives users wireless access to popular music services like Spotify, Deezer, Amazon, Internet radio or your stored music library and enjoy these music in multiroom. Yes, Bose SoundTouch speakers gains much favour from worldwide users, because it offers users the best sound quality and user experience. The only drawback is that users have no permission on Bose SoundTouch to access the Apple Music catalogue directly. To make up for this, this article will show you the best solutions to play Apple Music contents on Bose SoundTouch. 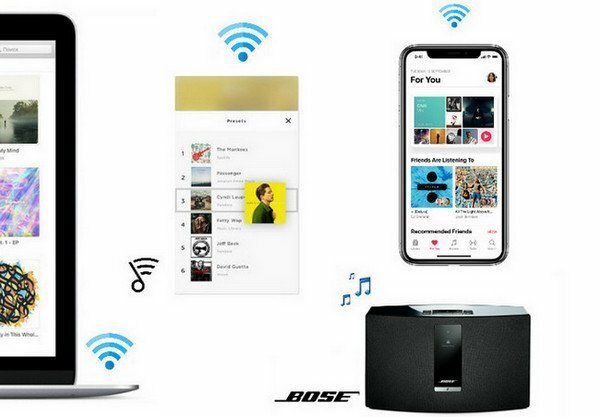 The newer generation of Bose SoundTouch allows Apple Music playback via Bluetooth. It's a useful solution to help you get Apple Music compatible with SoundTouch. But some users complain that it is not an elegant solution, because it effects the playback quality and not allow users to stream Apple Music on multiple devices. AirPlay is a technique developed by Apple Inc. which allows the wireless streaming of audio, video and photos between devices. If you have an iPhone (or other iDevice ), AirPlay is a great way to easily play the music on it through a receiver and even control the volume and turn the receiver on. But unfortunately, you can only play the Apple Music on the previous version of Bose SoundTouch like Series II via AirPlay. The Series III is removed the AirPlay connection due to some reasons, and there is uncertain that the new generation of SoundTouch will support AirPlay in the future. So if you have Series II, AirPlay is a nice choice to stream Apple Music. As mentioned above, Bluetooth or AirPlay is not an ideal way to play Apple Music on SoundTouch series, though they still have something to be recommended. So the next part we will show you an ultimate solution to stream Apple Music on SoundTouch all series without any limitations. Considering the fact that the partnership between Apple and Bose are not reached, and based on the principles of streaming music services industry - the DRM protection limits the playback and copy of its contents on other unauthorized devices, it seems to be nearly impossible to play Apple Music on SundTouch, except for BlueTooth or AirPlay. Now the cheering news comes: You can play Apple Music on SoundTouch all series by ripping the DRM protection from the audio contents. All things you need to prepare are including: a laptop running Windows or Mac system, the latest version of iTunes and most importantly, an Apple Music converter installed. 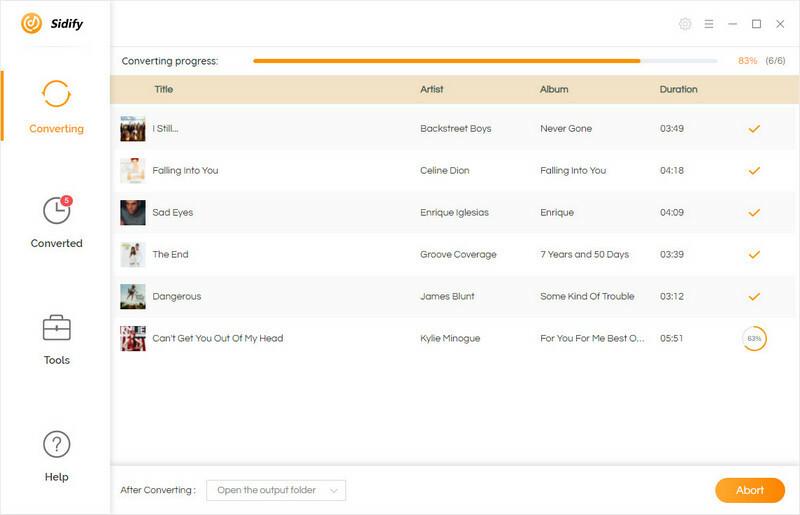 Here Sidify Apple Music Converter is highly recommended for you, with this specially designed converter, you can easily rip the DRM from Apple Music contents, and convert the audio to SoundTouch supported audio formats including MP3, AAC, WAV or FLAC with lossless audio quality kept. Now we are going to show the steps on how to convert Apple Music to DRM-free audio compatible with SoundTouch all series and add the converted Apple Music to SoundTouch for enjoying in multiroom. 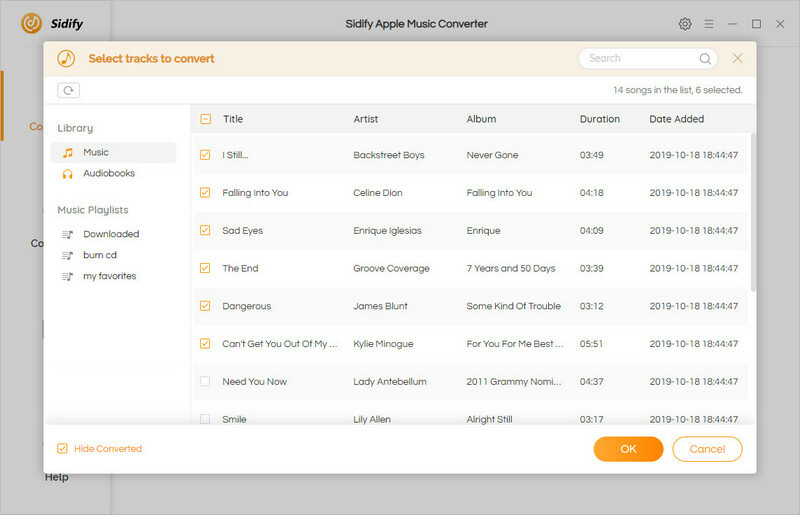 Launch Sidify Apple Music Converter on your Mac or PC after the installation. 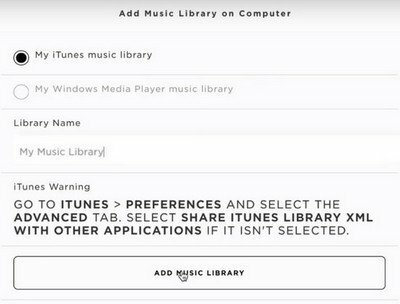 Then you can start to add Apple Music songs or playlists by clicking icon, and please make sure that the Apple Music songs are already downloaded within the validity period. You will see the pop-up window which shows the list of all Apple Music files you downloaded to iTunes library. After you select the audio files you want to convert, please click “OK”. You can click button on the top right corner to change the output settings including output format, output path, conversion speed, and output quality. Because Bose SoundTouch series support MP3, AAC, WAV and FLAC audio playback, you can choose any one from the Output Format drop-down menu. But in order to experience the best sound quality, you can choose FLAC as the output format, and output quality to 320 Kbps. Finally, you can click "Convert" button to start converting Apple Music files to unprotected audio files. After the conversion completed in a cup of tea time, you can click icon to find the converted Apple Music files from local drive. 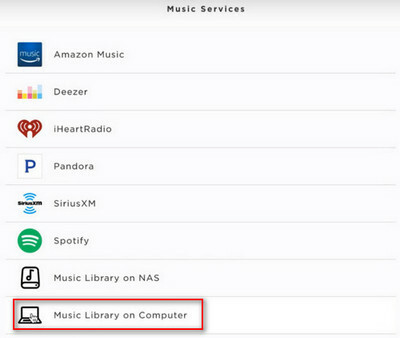 Please note that only music stored in the computer’s "iTunes Music" folder or the "My Music" folder (for Windows Media Player libraries) will be available in the SoundTouch app, so you need to move the converted Apple Music files to this specific folder. Step 1 Download and install SoundTouch app on your computer or mobile devices if you have not. 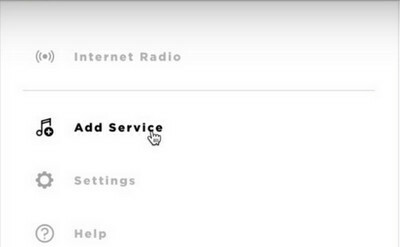 Step 2 Open SoundTouch app on your computer, then select the Menu icon "(≡) " in the top left corner and then select "Add Service". Step 3 Select "Music Library on Computer" if your music is stored on a computer, then choose the type of library to be added by selecting the circle next to iTunes or Windows Media Player. Step 4 Enter a name for the library and select "ADD MUSIC LIBRARY", then the library will now be available in the SoundTouch app by navigating to Menu (≡) > Music Library. And please enable the sharing of the library on your iTunes or Windows Media Player. With the 3 ways mentioned above, you can easily stream Apple Music contents on SoundTouch, so you can choose the proper one according to the SoundTouch series you own. The third solution is recommended if you want to access the Apple Music on SoundTouch directly. 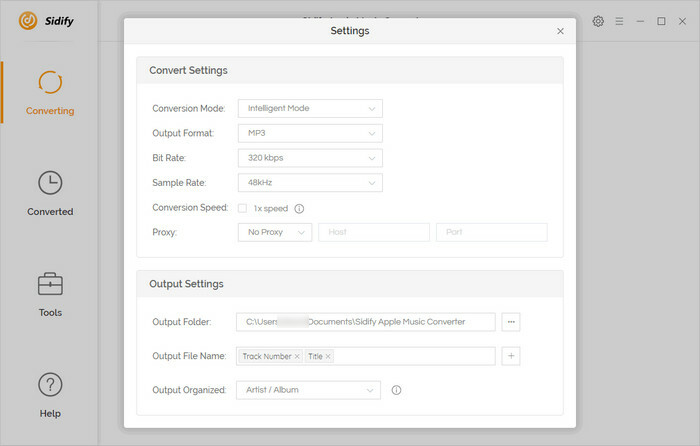 Note : The trial version of Sidify Apple Music converter has 3-minute conversion limit. If you want to unlock the time restriction, you'll need to spend just $39.95.